The Greek artist Jannis Varelas (b. 1977) unveils the surprising side of banal elements in everyday life. Playfully fusing abstraction and realistic representation, his paintings explore lived spaces through a myriad of collage-like details. He constructs the reality from fragments: like in archeological excavations, lived moments are presented to us in a seemingly arbitrary composition of random traces. We are shown a lighter lying on a packet of cigarettes, a small stained cloth resembling the head of a mythical creature, food leftovers shaped like a happy face: when seen from a specific perspective, these insignificant remnants suggest a different reality that can open up to a new dimension, full of possibilities. 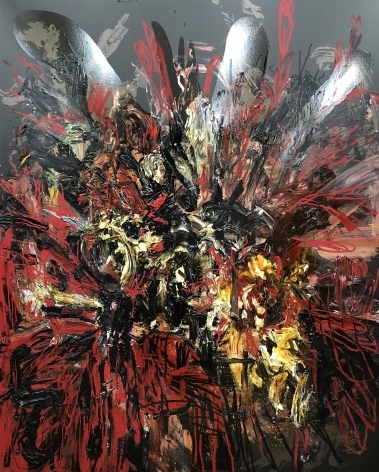 The signs and symbols in Varelas’ work resemble automatic painting or children’s drawings, with added dynamism deriving from the artist’s highly physical, expressive technique. His work reflects on social issues and the plight of humanity in world history, but the thematic content is expressed in a web of subtle allusions that spontaneously follow the artist’s irrational trains of thought. 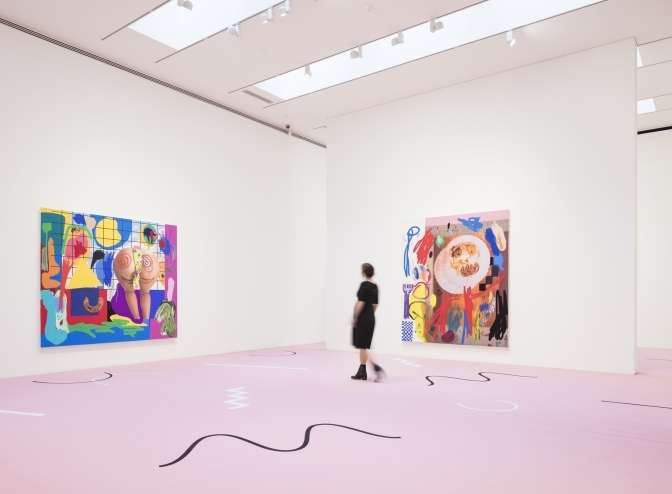 Varelas’ work has been exhibited widely around the world at venues such as the Palais de Tokyo in Paris, London’s Saatchi Gallery, and the Kunsthalle Wien. 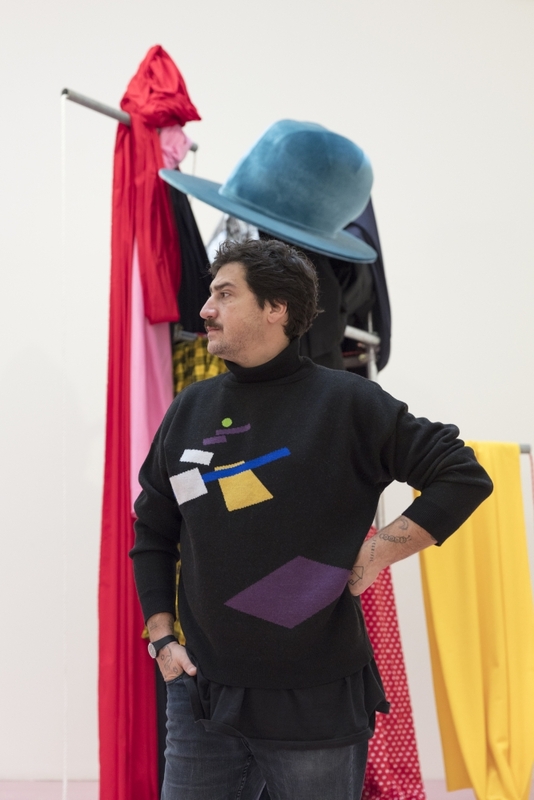 The artist divides his time between Los Angeles, Vienna, and Athens. 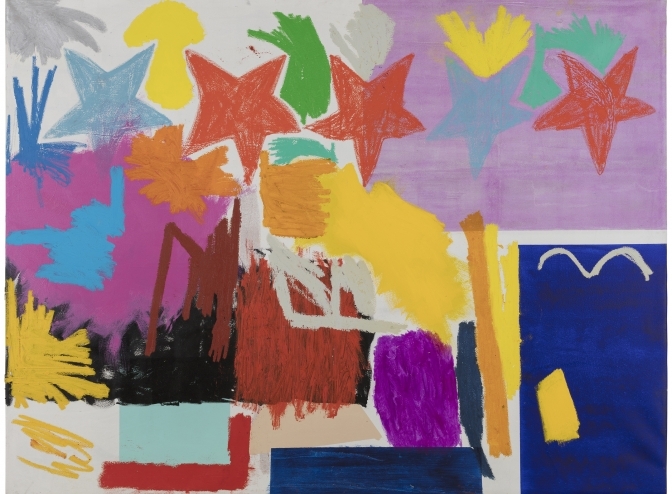 Galerie Forsblom has been representing Jannis Varelas since 2018.